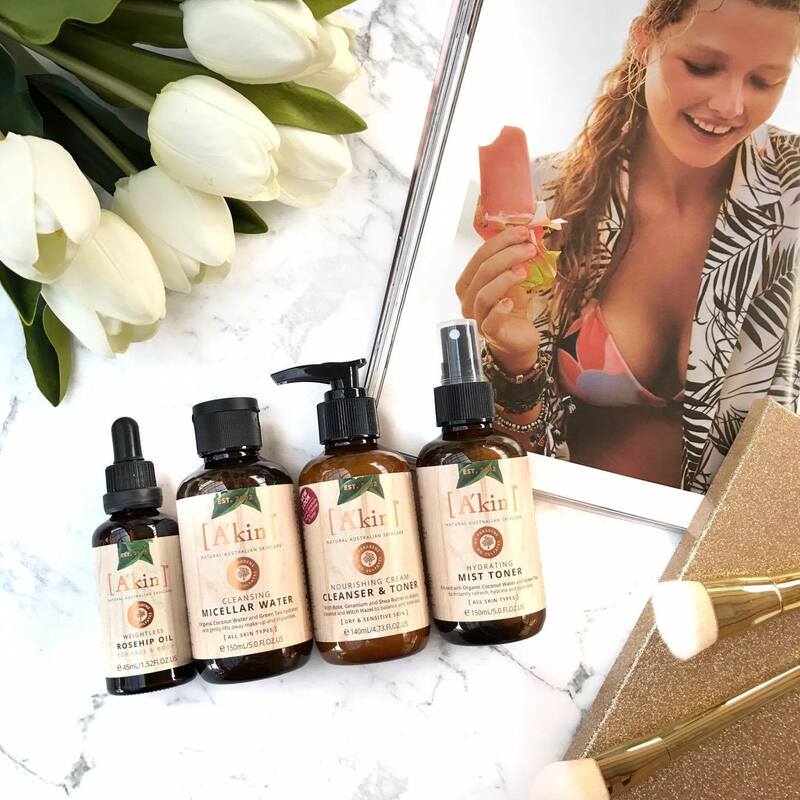 A'kin has recently repackaged and added to their face care line, and I was lucky enough to get my hands on a few of their products to try! 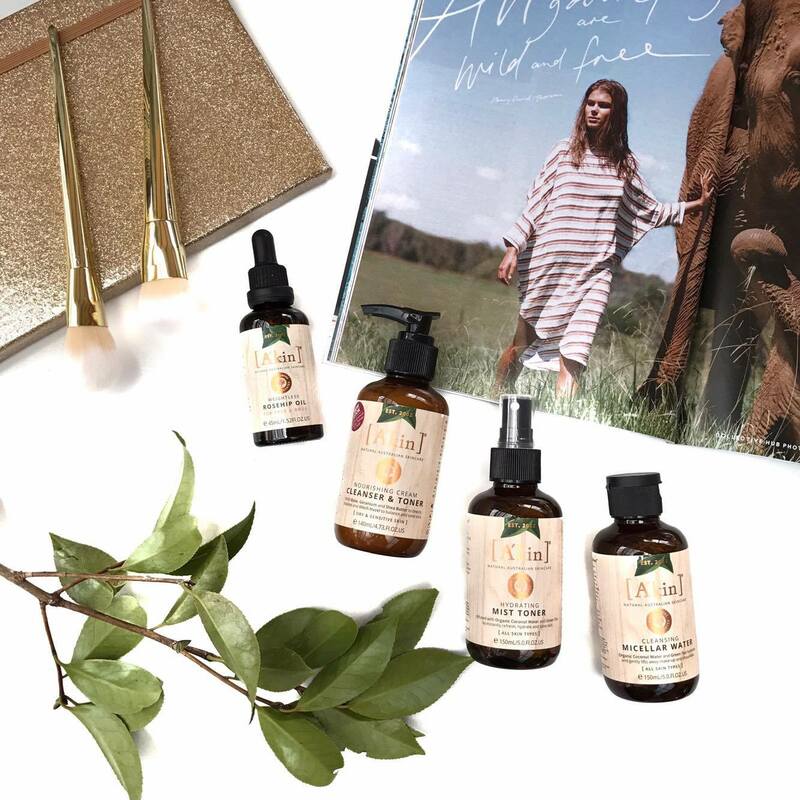 A'kin craft pure, authentic and beautifully aromatic skincare, created without parabens, sulfates, artificial colours or fragrances. Their products are 100% Australian made and owned, vegan, not tested on animals, and bottled in recyclable packaging. I am in love with cream cleansers for their ability to deeply cleanse and break down makeup without stripping dry skin. This cream cleanser has a subtle rose scent and is so creamy and hydrating on the skin, but rinses off without leaving any oily residue. I was sceptical that a product that could cleanse and tone at the same time, but this product does leave the skin looking clarified and toned due to the witch hazel it contains. This works so well at removing my makeup and leaving my skin clean and soft. This micellar water has a fresh cucumber scent and is a great natural option for removing makeup. I prefer to use this before I cleanse to remove any heavy makeup such as eye makeup and lipstick. To use, I simply pour onto a cotton round or a tissue and wipe over my face. This is also a nice compact bottle compared to other micellar waters on the market so would be a great travel option. This toner has such a beautiful fine mist with a light citrus scent that I am currently obsessed with. I would really recommend this to all skin types, including sensitive skin as it contains many skin loving ingredients such as green tea, coconut water and chamomile extracts. This is perfect for refreshing on a hot summer day! I love rosehip oil as I find it is perfect for my dry and acne prone skin. I add a few drops of this to my moisturiser or pat on top of my skin after I moisture to give my skin an extra hydration boost. This rosehip oil is such good quality and absorbs so quickly into the skin. It truly is lightweight but is still so nourishing to the skin. I find with regular use that acne scarring heals faster and my skin has a beautiful glow! 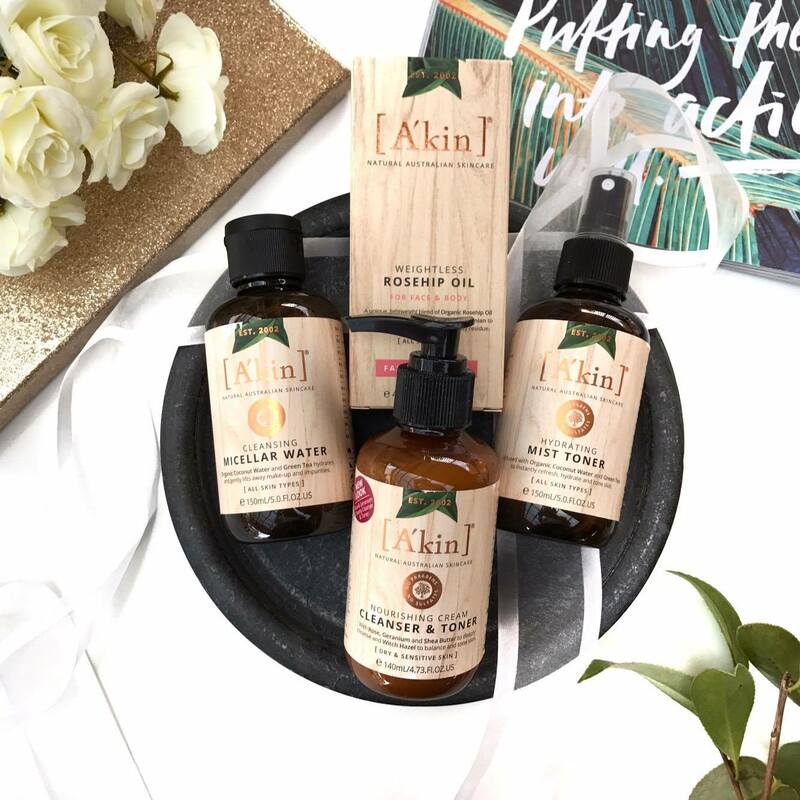 A'kin is a beautiful natural and affordable skin care brand that can be purchased from your local Priceline!